Fill out the form below or give us a call at 434-239-0371 to schedule an appointment. Wooldridge Heating, Air & Electrical, Inc. is the most requested Wooldridge Equipment residential HVAC service provider in the Lynchburg area. Our highly trained technicians and consultants keep their certifications current with regular training as we strive to provide the best service to our customers. We offer a wide range of residential services that include, but are not limited to free estimates for HVAC systems, duct work improvements, air quality improvements, duct work repairs, full duct and system installations, and system updates. 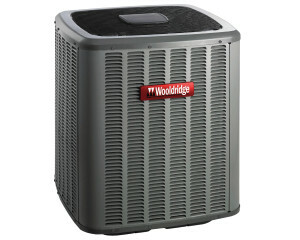 Wooldridge is a Wooldridge Equipment, Trane, York, Mitsubishi, Burnham Boilers Dealer. York home comfort systems are designed and built to provide maximum quality comfort to your home. In addition to equipment maintenance and repair, we specialize in installing new Wooldridge HVAC systems. Our technicians ensure the compatibility and efficiency of a properly installed Wooldridge system by first observing the size, age, room count, regional climate and utility costs of your home free of charge. Save money and live comfortably year round by taking advantage of our free estimate. It’s time to get comfortable with Wooldridge.